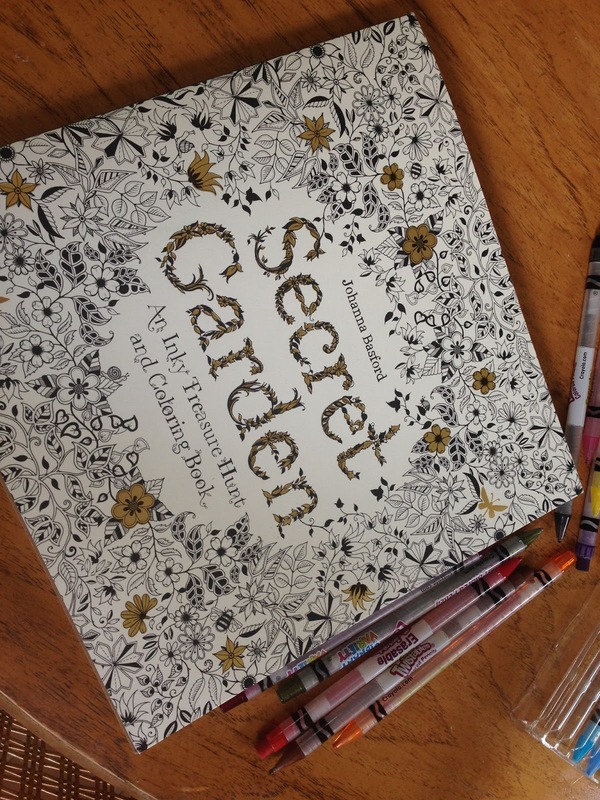 I have been seeing posts about adult coloring books lately with claims of stress reduction and improved creativity. It got me thinking that maybe I should try it out. After all, I am an artist at heart. 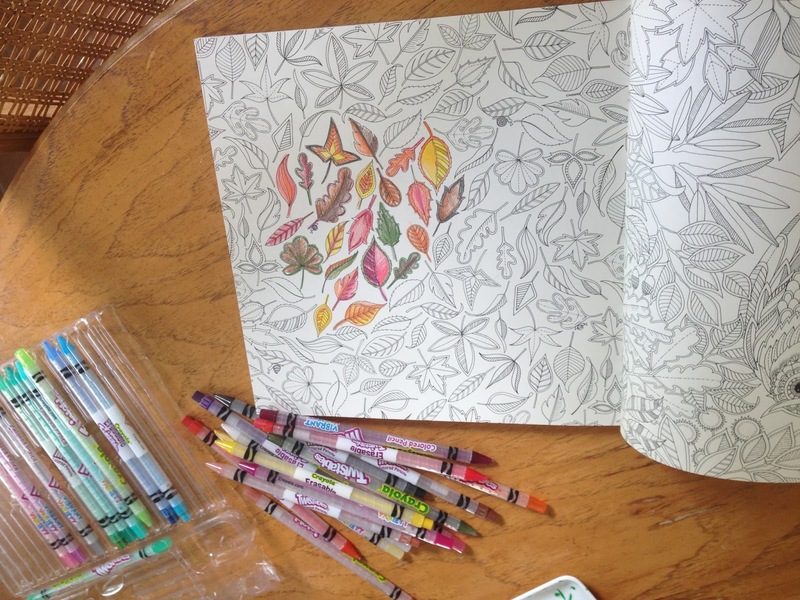 I used to love coloring with my daughter when she was small and did find it therapeutic. But I was skeptical I would find the time. 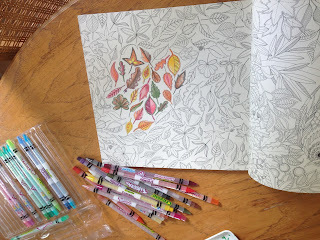 I barely had time to do my own art projects-why would I find time to color? Then as I walked through my creativity seminar with some new employees, I hit a slide that talked about the differences between children and adults when it came to creativity. There was a quote I pulled stating that you start your education with a huge box of colored crayons and you graduate as an adult with a black or blue ball point pen. It was a way to reinforce that as adults, we don't really live in color, but bringing in color in your daily life is a great way to stimulate creativity. So I went to my favorite "get creative juices flowing" shop at lunch, The Paper Source, to hunt down a grown up coloring book. To my delight they had two from the same artist, and I picked the garden one, being an obsessive gardener. I was so excited to get started. The intricate patterns and designs were stunning in just black and white. I couldn't wait to get some of it colored. As I was checking out, the woman at the register said that she was a social worker as her main job and had a lot of these in her office. She said they helped her patients quiet their minds and center themselves, and she bought herself one, too. I brought the coloring book with me on vacation with one of my daughter's countless left over colored pencil kits from school. I have to honestly tell you, it was wonderful. Once you get going, you end up in a meditative state-the mecca of right brain activity. The world around you disappears as you play with colors. Time flies by. It is completely engrossing and just plain fun. It is almost as if you give your right brain a yoga session for a bit. I felt it really helped me decompress, too. I urge you to get your hands on one of these books as well as some markers, crayons or colored pencils. Even if you take 30 minutes a few times a week, you will reap a lot of rewards. It's like giving your brain it's own yoga session. You take care of your body, right? Why not do the same for your brain? Here are some links below to other books for you to check out. Also here is a link to the one I bought. Once I am done with it, I am going to buy the artist's other ones. 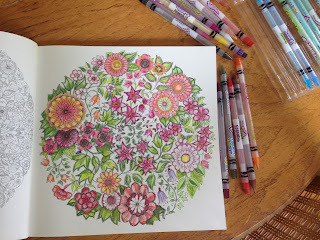 Her name is Johanna Basford and she is quite talented. 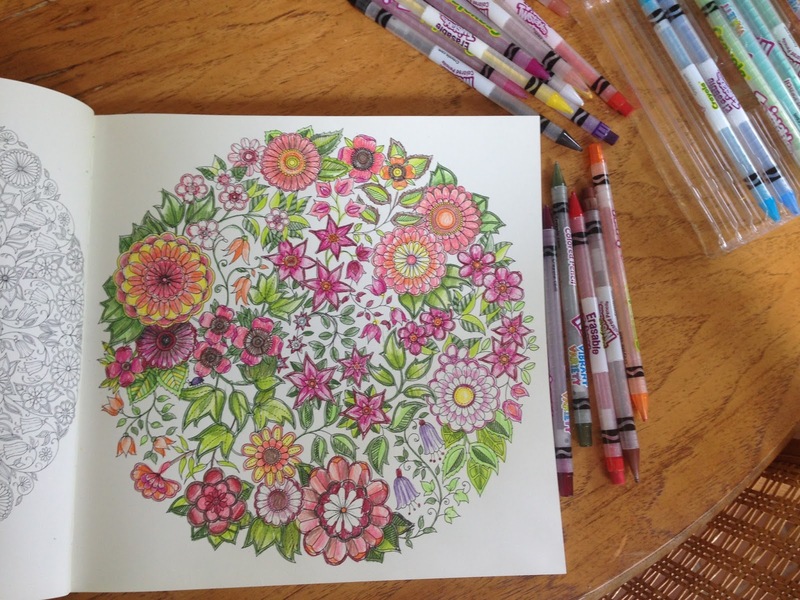 Here is Johanna Basford's site where you can see her other awesome work! As Georgia O'Keefe once said, "I found I could say things with color and shapes that I couldn't say any other way - things I had no words for." 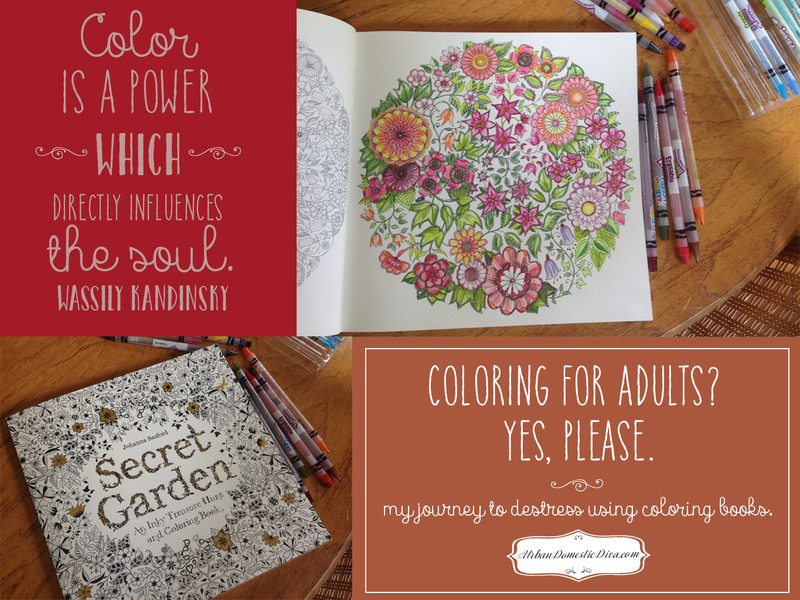 Find your voice-or your quiet place-coloring.